Shrines fascinate me. 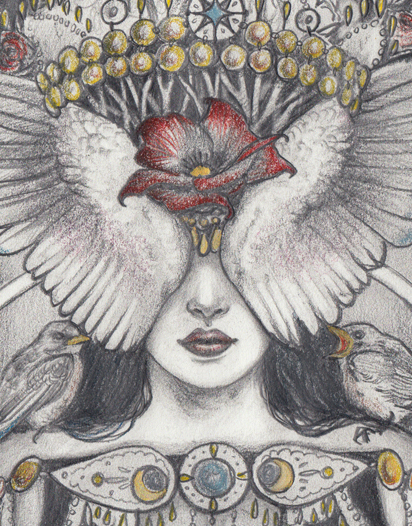 They carry a sense of mystery in their cloaked figures and use of symbolism. They seek to evoke a spiritual presence, some with great opulence and others with quiet allure. 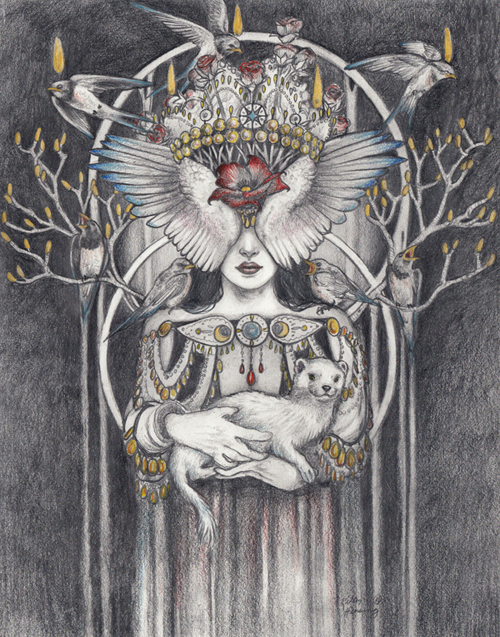 Artwork created in pencil on paper, with accents using color pencils and gold leaf paint. Frame is new, black stained wood and I added the gold edging. Kelley is an artist residing in Brooklyn, NY. 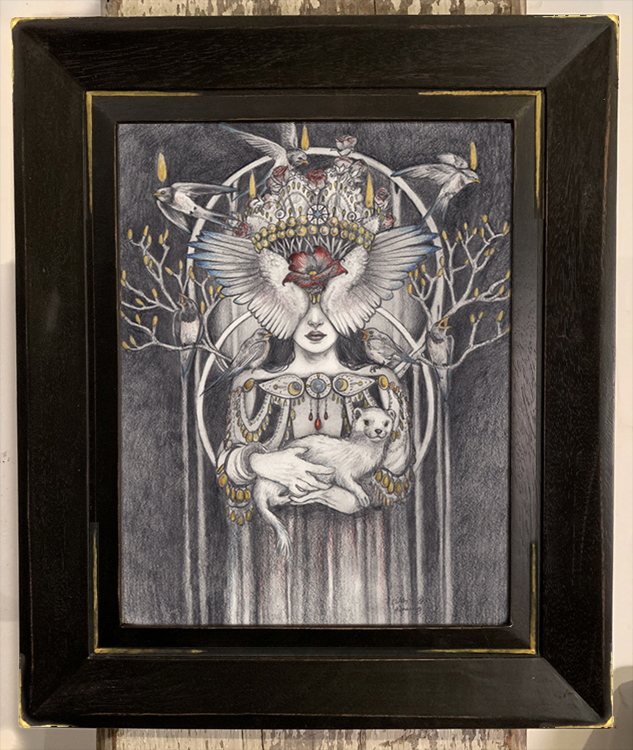 She earned her MFA from the School of Visual Arts and her BFA from the Rhode Island School of design. Her favorite medium is oil paint and she loves to create her work by hand. She is fascinated with deciphering the myths and symbolism behind all types of religions. 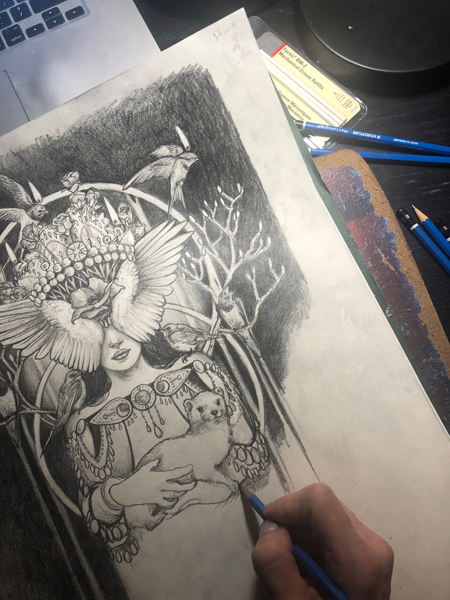 She believes being well-read in a variety of subjects is an important element to bring depth to art making, with a few of her favorites being psychology and scientific discovery. Traveling is her only other passion equal to a career in art and is a vital component of inspiring her work. 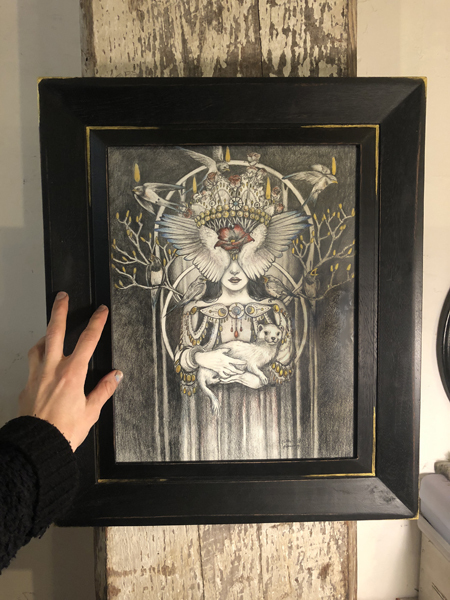 In her art making she explores hidden meanings behind obscure stories, influenced by a mix of genres from the gothic and steampunk to classic fantasy and legends.